Make sure it's legal! In this course, private sector and governmental personnel from all types of industries will present detailed information on managing legal issues that affect construction, engineering, and safety for projects that are performed in general industry, commercial, and industrial operations. You will review topics, including the legal aspects of licensing, education, qualification, the bid process, construction contracts, insurance, the safety manager’s role, and more. Are you approved for VA Education Benefits? The certificate program associated with this course, if offered in classrom format and on the Atlanta campus only, is approved for VA Education Benefits. Courses delivered in an online format or outside the Atlanta campus are not eligible for VA benefits. Details and eligible programs can be viewed from this link. This course is designed for senior management, engineers, architects, project managers, human resources, risk managers, superintendents, foreman, and safety managers. Gain valuable information regarding the importance of managing legal issues that affect operations and projects. Understand the issues that develop when these aspects are not considered. Discover employment and labor law, and how it affects all areas of general industry, construction, and safety. The solid OSHA curriculum, fueled with hands-on training, and a strong professional network builds you for a successful safety career. I’m new to the safety field. What courses should I start with? If you are interested in the Construction Industry, begin with OSHA 510: Occupational Safety and Health Standards for Construction Industry. If you are interested in the General Industry, begin with OSHA 511: Occupational Safety and Health Standards for General Industry. What are the opportunities to build my knowledge area in certain OSHA-related subjects? Our safety and health professional certificate programs are the best combination of courses for your areas of interest. Each certificate has a unique set of course requirements. What is the process to be approved for OSHA 500, 501, 502, or 503 courses? 1. Prepare the following required documents in a PDF format (uploaded during the approval process). 2. Create a new GTPE account or login to your existing GTPE account. 3. Search for OSHA 500, 501, 502, or 503. 4. Click on the Request approval button next to the section you wish to attend. 5. Follow the instructions on the approval form, upload required documents, and submit. You will receive a notification email from the Georgia Tech OSHA Training Institute Education Center within 3-5 business days. If approved, you will be able to register and pay for the course by clicking on the link in the notification email (you must be logged into the GTPE website). What Georgia Tech office can give me information about OSHA training regulations and policies? Please visit the Georgia Tech OSHA Training Institute Education Center or email otiec@innovate.gatech.edu. Where do I find course requirements? Requirements and approval instructions, if applicable, display on each course page under the Requirements & Materials tab. I know there are courses that require a copy of the parts of the Code of Federal Regulations (CFR). How do I purchase the right code? If it is required in order to take the course, you will be given the opportunity to add it as an item during the checkout process. If purchased from Georgia Tech, our manual will be distributed during the check-in process on the first day of the course. It is not required that you purchase the manual from Georgia Tech, so you can purchase it through other methods (U.S. Government Bookstore), but must have the manual with you on the first day of the course. How do I know which courses require books? Each course page has a Requirements & Materials section. All requirements for the course will be provided there. Do I need to provide identification when I check in for an OSHA course? A driver’s license is required in order to enter any OSHA classroom. Will I get some sort of certificate when I complete an OSHA course? Georgia Tech's OSHA Training Institute Education Center distributes OSHA and HAZ certificates by mail or on the last day of class. GTPE Registrar's Office mails EST course completion documents after course grades are submitted. Does Georgia Tech offer a degree in Occupational Safety and Health? Yes. 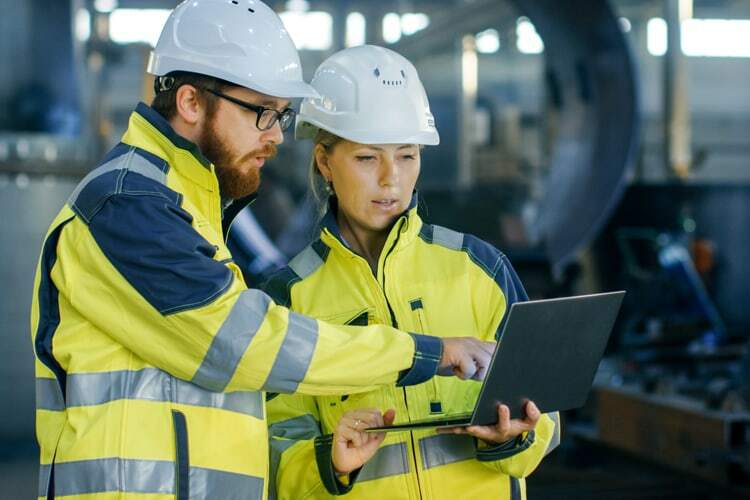 Georgia Tech offers a flexible Professional Master's in Occupational Safety and Health (PMOSH) that is tailored to working professionals who are ready to boost their careers and step into a leadership role within the OSH field. Can Georgia Tech provide training for a group of employees from just my company? Yes. GTPE can deliver established and customized training to your employees at your location, on your scheduled, and within your budget. Visit our Train At Your Location for more information. These answers are very helpful, but I’d really like to talk to someone or submit a question I don’t see on this page. Can you provide me with contact information? Can I take the 10- or 30-hour courses at Georgia Tech? No, these courses are not taught at Georgia Tech. You may contact the Georgia Tech OSHA Outreach Training Institute Education Center for a list of trainers in your area by calling 404-407-7345, select option 5, and leave a detailed voicemail message. OSHA 510: Occupational Safety and Health Standards for Construction Industry and OSHA 511: Occupational Safety and Health Standards for General Industry are designed for safety professionals and are prerequisites to become an authorized 10- or 30-hour trainer and should be considered a step above the OSHA 30-hour course. How can I get information on my trainer card? I’m a trainer and need to know how to get my student cards. Who do I talk to? I’m a trainer and have some questions about teaching my courses. Who do I talk to? I would like to be a Construction Industry Authorized Outreach Trainer. Where can I find information about this? *The OSHA 510 course must have been taken within the last seven years. Construction industry outreach trainers must take OSHA 502: Update for Construction Industry Outreach Trainers every four years to maintain their status as an outreach trainer. I would like to be a General Industry Authorized Outreach Trainer. Where can I find information about this? *The OSHA 511 course must have been taken within the last seven years. Construction industry outreach trainers must take OSHA 503: Update for General Industry Outreach Trainers every four years to maintain their status as an outreach trainer. What Georgia Tech office can give me information about expiration rules for trainer cards? Who reviews my request for permission to take a trainer course? Registration permits are granted by the Georgia Tech OSHA Training Institute Education Center Office. Please contact them at 404-407-7345 for more details. I understand there are required prerequisites and work experience for the trainer courses. How can I request an exception? Exceptions for prerequisites and work experience cannot be granted.